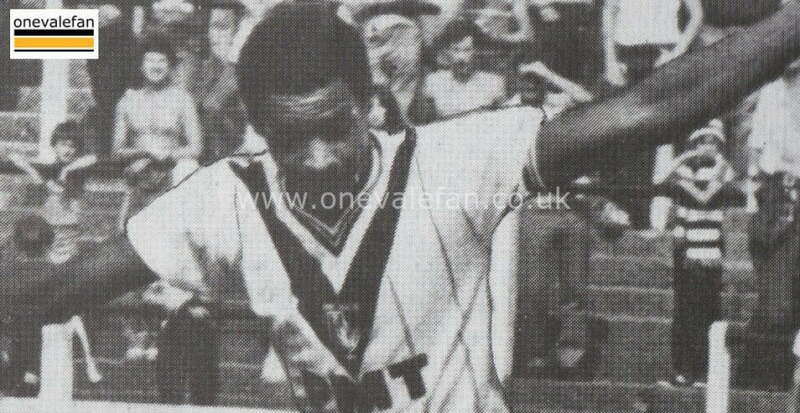 This photo shows striker Mark Bright playing for Port Vale in the early eighties. This photo is from an unknown game during the 1983-84 season. 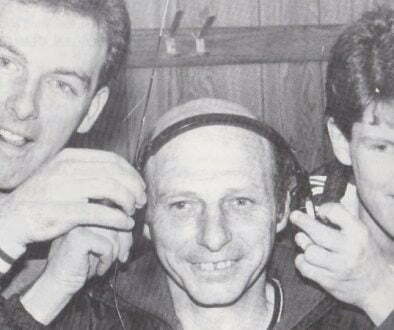 It was Bright’s breakthrough season as, under new manager John Rudge, he was propelled into the first-team. 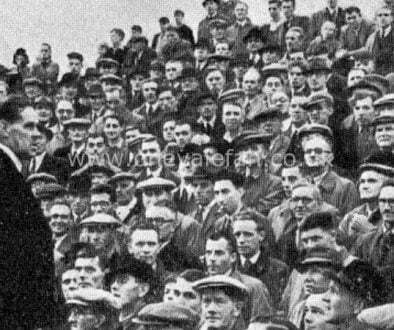 Rudge took over from John McGrath with the side thirteen points from safety. Thanks to ten goals in 31 games by Bright, the side made the gap six points but it was enough to save them from relegation. Bright was controversially sold to Leicester City at the end of the season. The fee was a mere £33,000 (which increased to £66,000 thanks to a clause – but still a paltry amount for a striker of Bright’s potential). 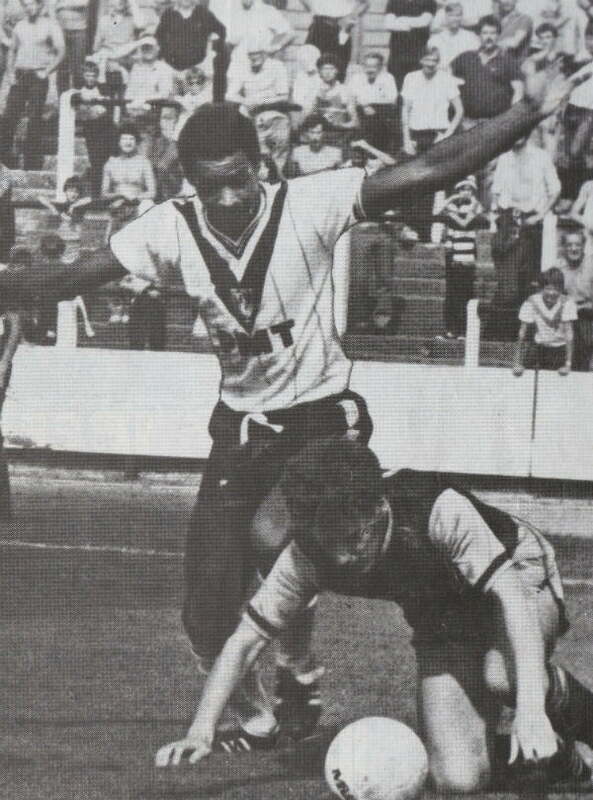 Bright went to play in the top flight and enjoyed successful spells with Crystal Palace and Sheffield Wednesday to name a couple of his former clubs.